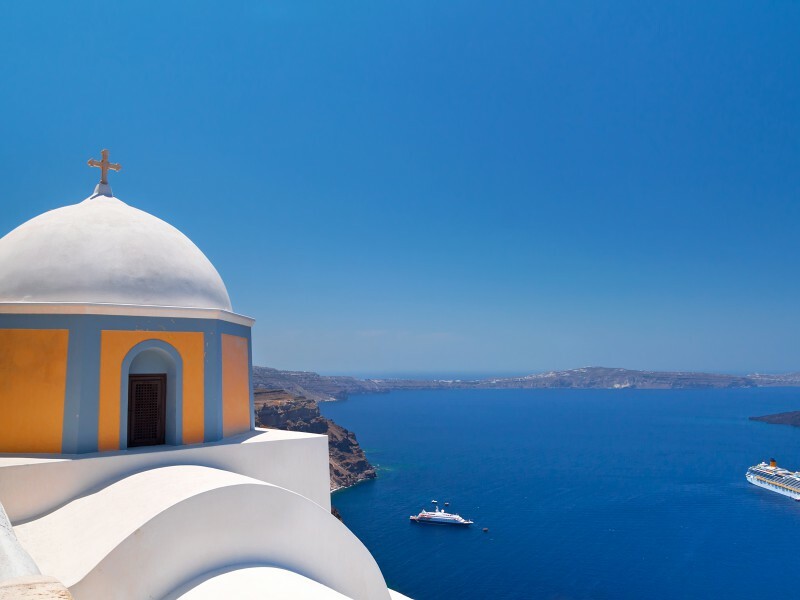 An incredible kaiki cruise to the volcano, the hot springs and the island of Thirassia. Transfer from your place of stay to Athinios port to board the traditional style wooden boat, “kaiki”. Departure at 11:00, for your cruise within the caldera, the crater of the ancient volcano. First stop the volcano where after a short uphill hike of about 30 minutes you get the chance to see the dramatic scenery. Next a chance to swim for some time at the hot springs. Our lunch stop (meal is optional) will be at Thirassia, a fisherman island of 300 inhabitants that maintains its traditions. Sailing with traditional wooden boat kaiki to the volcano. 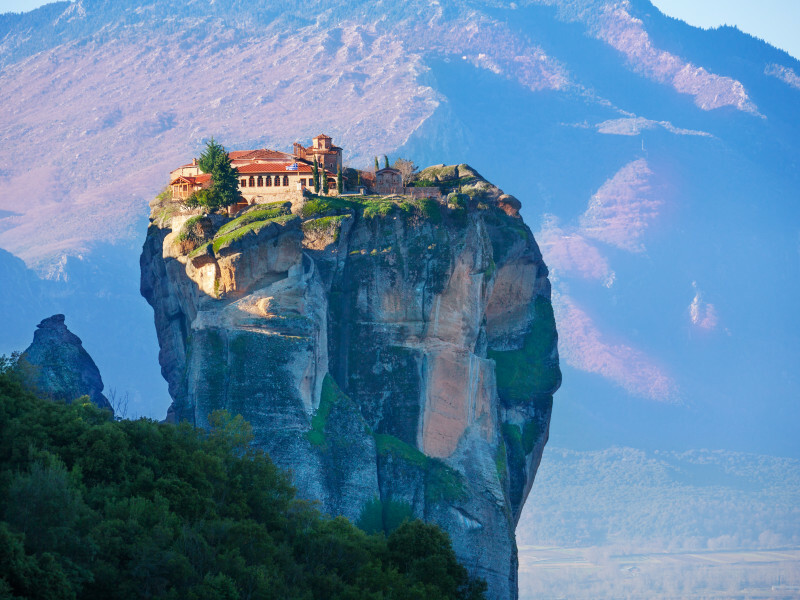 Visit the breathtaking sight of Meteora. 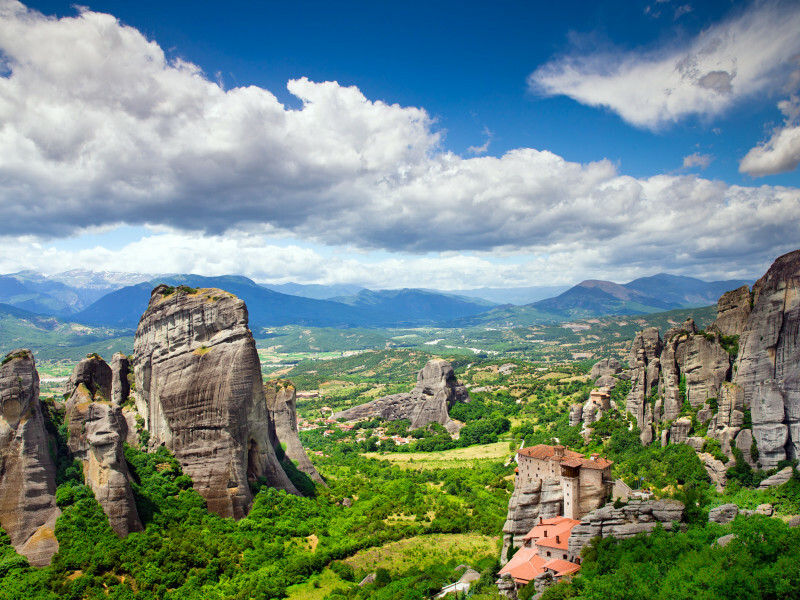 Join our two days rail tour to Meteora to discover the beauty and the history of a unique geological phenomenon and the Byzantine Monasteries, listed as UNESCO World Heritage monuments. This tour includes the train tickets; transfer from and to the train station, 1 night stay with breakfast in a 3 or 4-star hotel, 2 top rated tours and activities at Meteora!